Raised garden boxes have a ton of advantages. Benefits include easy harvesting and tending, to keeping certain critters out, to ease of watering and fertilizing. There are a variety of ways and materials to make these garden boxes. If you’re fortunate to have an abundance of scrap materials around, you often can build raised garden boxes from them. For most though who don’t have scrap materials, you’ll be starting from scratch. 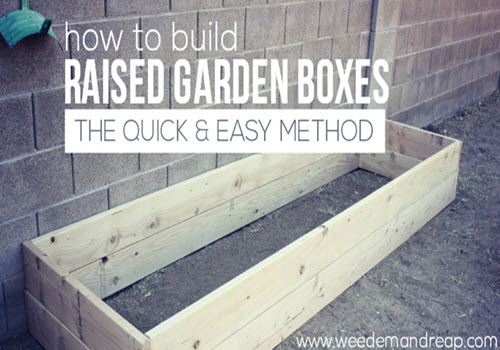 Here we have a tutorial to easily build raised garden boxes so that you can get your garden up and running as quickly as possible. Follow these instructions and you’ll have a bountiful garden in no time.